Search engine optimization has been around almost as long as there have been search engines. From the moment that people realized that these search engines were using an algorithm to decide which websites were the most relevant to search queries, and that websites could be made to better align with the expectations of those algorithms, people have been optimizing their websites to do exactly that. What started out as a way to game the vulnerabilities in Google’s original search algorithm has become its very own industry, tasked with helping search engines find the very best answers for their searcher’s questions. The first website went live on the 6th of August, 1991, making it just over twenty-five years old this year! This was a simple, almost blank page, with a few links to other resources. It’s still out there, if you want to find it. It was created specifically to provide information about what was, at the time, just a relatively small project (but has since become, obviously, one of the biggest and most world-changing pieces of technology in history). Other people started to set up their own websites, flooding the early internet. But unless you had the URL for a specific webpage, it was impossible to access. At this time, personal computers or even home computers were not as ubiquitous as they are today, meaning that there was little need for an overarching catalog of websites. However, in the late 1990s, as more and more people began to buy computers and put them in their homes, it became more and more apparent that there needed to be a better way to find relevant websites. Excite was the very first search platform, and it cropped up in 1993, though it was very different from what we think of as a search engine today. Yahoo opened its doors in 1994, with Google starting in 1997. Both of these companies made big changes to how search engines worked, making it much easier for data from websites to be indexed and therefore delivered to searchers. In the early days, there were no rules. The internet was like the Wild West. Keyword stuffing abounded and spammy backlinks won out. Updates to the algorithm were slow and they took even longer to become effective, which meant even the spammiest of techniques could get top rankings and would be difficult to unseat. In the new millennium, Google started to pay a leading role in the search engine optimization world. They wanted to create a level playing field for all brands and writers to compete on. This meant that backlinks that looked like spam and webpages that were stuffed with keywords were given the axe. Right before the turn of the century, Google adopted the “Don’t be evil” motto, and it was clear that they were trying to implement that policy on their search engine. It was also during this time period that search engines started to track what users were searching, so that they could provide more customized results in the future. The information gleaned from your searches might include your location, your age, and your likes and dislikes. This was the time when there was the beginning push towards results that were more personalized and better for the user. As more and more people took to the internet when looking for information, it became clear that search engines were going to dominate the online space. By 2009, Google had introduced the suggest feature, that made it much easier to find what you were looking for. They also introduced a number of tools for websites and website owners specifically, including Analytics and Trends, which could help owners find out about how their websites were performing and formulate better strategies for successfully getting to the top of relevant search results. Search engines continued trends towards providing a more personalized experience for users, forcing marketers to look at how they wrote and marketed their content. There were still lingering beliefs that keywords were more important than the information itself, causing some websites that had previously had great standings to lose their rankings rapidly. Starting in 2010, Google started to seriously crack down on the use of duplicate or low quality content. They took steps towards enforcing regulations of keywords and over-optimization, which had a far-reaching impact. Brands that did not take it upon themselves to make changes to their websites were seriously punished, including big names like Overstock and J.C. Penney’s. This was the also the age where local search results were streamlined. 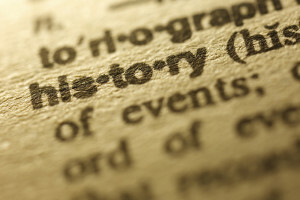 Most of all, Google declared that content, not keywords, not backlinks, not metadata was king. Right now, automotive SEO is focused more than ever before on personalization. Search engines have a great deal of information about their searchers. Much of it is provided directly to the engine through the searcher’s account, but a lot of it is also gleaned from their search history. Search engines know what the searcher is looking for and may even be able to extrapolate why they are looking for it. The biggest change in automotive SEO recently has come alongside the introduction of smartphones and similar mobile devices. Mobile has now become so important that websites that lack optimization for mobile may lose their place in the search results altogether.